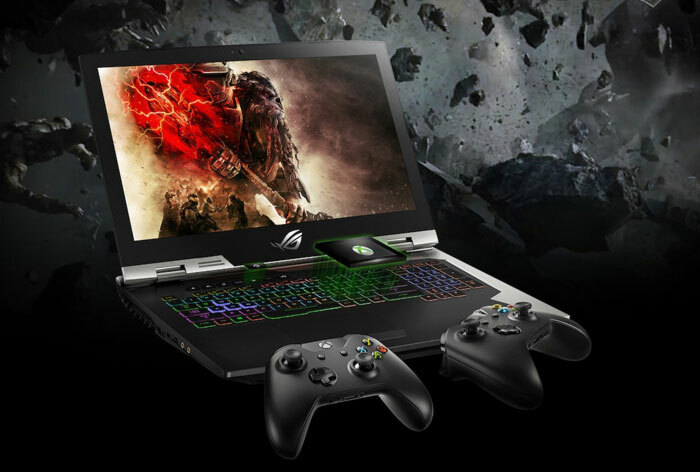 Back in August HEXUS reported on the unveiling of the Asus ROG Chimera gaming laptop with 17.3-inch 144Hz 1080p IPS display. 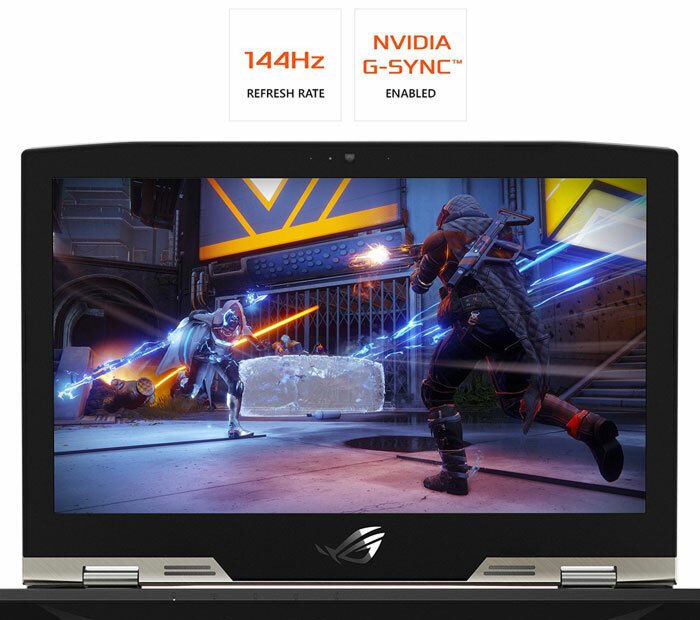 This G-Sync compatible machine, also packing an Intel Core i7-7820HK CPU and an Nvidia GTX 1080 GPU, has now been released and comes with the model number G703. To remind those in the market for a gaming laptop, Asus didn’t approach this design with shrinking violets in mind. 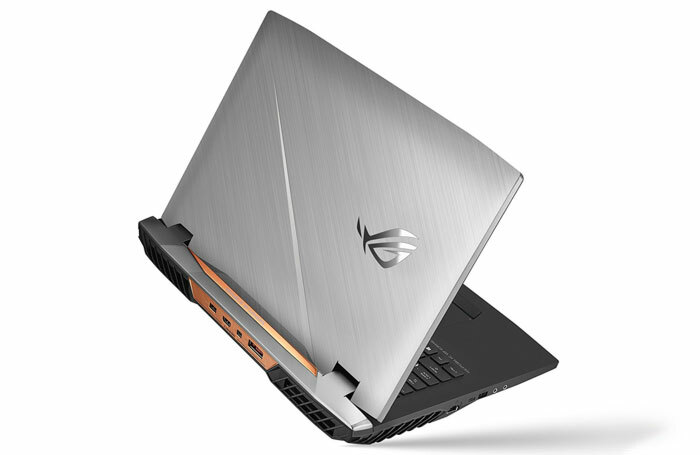 Rather than slimming down the design, the Asus ROG G703 “beefs up to 51 mm thick to make room for an elaborate cooling system” to ensure it performs under pressure. Portable gamers please bear in mind that it weighs in at 4.8kg and packs an eight-cell 71Wh battery. With the release upon us Asus has provided more detail about technical aspects of this laptop such as the cooling. We hear that the new G703 uses a “patented Anti-Dust Cooling (ADC) system” which facilitates the i7 to be overclocked to 4.3GHz, and the GPU to be overclocked to 1974MHz. The ADC keeps dust out, as you might expect from the name, and the offending particles are ejected through two dedicated tunnels. Elsewhere, the cooling system relies upon an arrangement of 12V cooling fans and heatpipes. Users can fit up to 64GB of DDR4 2800MHz RAM in the 4x SO-DIMM sockets. There are plenty of storage options with combinations of high capacity 2.5-inch SATA mechanical HDDs, SATA SSDs, and PCIe SSDs. The machine supports RAID 0. While the screen resolution at 1080p isn’t that impressive for a 17.3-inch laptop, it should ensure that users can enjoy consistently high refresh rates in modern AA games – as it is powered by the respectable CPU, GPU and plenty of RAM / VRAM. The G703 screen has a maximum refresh of 144Hz, as headlines, but can be scaled back smoothly via G-Sync. Furthermore, the screen boasts wide viewing angles, 7ms response rate, and 72 per cent coverage of the NTSC colour space. There is also an option for a 4K (2160p) display with 60Hz max refresh and 100 per cent NTSC coverage. The Asus ROG G703 features Aura RGB lighting. That proves most useful in the built-in keyboard with individual key lighting and access to profiles and hotkeys. The equipped keyboard features N-key rollover and anti-ghosting technologies, in combination with 2.5mm travel distance and a 0.3mm keycap curve. For audio, the G703 packs an ESS Sabre with support for up to 32-bit/384kHz sound output. Asus Sonic Studio III allows for 7.1 channel surround simulation and audio tweaking. Meanwhile, the built-in quad speaker system and Smart Amp tech should also please your ears. The depth of the chassis facilitates the provision of plenty of I/O (despite the size and quantity of cooling vents). Asus has equipped a Gigabit Ethernet connector, Wi-Fi, Bluetooth 4.2, DS/MMC cards, HD Web cam, 2x audio combo jacks four USB 3.0 ports, a USB 3.1 Type-C port with Thunderbolt 3 support, a miniDisplayPort (version 1.4), an HDMI 2.0 jack and more, Those last three ports can all be used for ‘Trinity display’, each supporting support 4K output at 60Hz. An example build of the Asus ROG G703 laptop with 32GB DDR4, 512GB PCIe SSD + 1TB SSHD is now on sale on Amazon US for $3500. Would this not be a great laptop for 1440p?